Content marketing. That seemingly omnipotent realm that marketers can’t stop banging on about. But what exactly is content marketing and what’s all the fuss about? 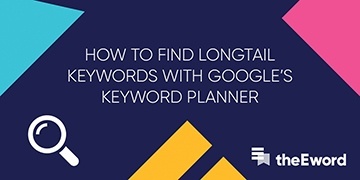 It’s tricky to narrow it down into a single definition, as there are unlimited possibilities and avenues, but the general gist involves creating relevant and valuable content that attracts and engages your target audience. The stats speak for themselves when justifying the hype of content marketing - take examples from big brands who use cleverly crafted campaigns to reignite the spark and get people talking again (see Coca-Cola’s Taste the Feeling ‘One Brand’ global strategy). Or how about Sport England’s This Girl Can campaign, which has dramatically changed the perception of women and exercise. And let’s not forget the controversy surrounding that Protein World campaign (Are You Beach Body Ready?, in case you were sleeping under a rock last year). It would be more than a little ambitious if you started your content marketing strategy with the hopes of becoming the next Coke though. The honest truth is that content marketing - the best content marketing - takes time. If you’re a business driven by sales (and quite frankly, most are), then it can be all too easy to push content marketing onto the back burner. But times are changing and general sales strategies simply aren’t enough any more. Whether you’re new to content marketing, or a little sceptical, the number one rule is patience. “It doesn’t matter how slow you go, as long as you do not stop”. Content marketing is no sprint. If you expect to see a dramatic increase in sales or other conversions straight away, then you’ll probably be sorely disappointed. 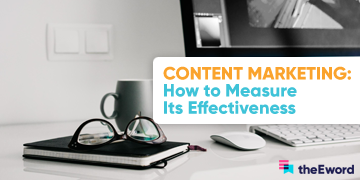 The tough thing about content marketing is that results usually aren’t immediate and can happen at different times - it can take a minimum of three to six months to actually see measurable results at all. This all depends on how your content is organised to meet a conversion, who your audience is, what you’re offering, and more. But, it’s worth the wait. If you’re willing to invest in it you can expect to create the kind of relationships, loyalty and trust with your customers and target audience that every brand should hope for. We’ve heard it all before. 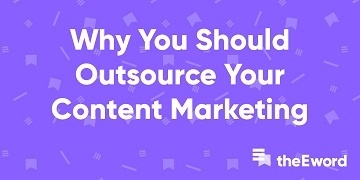 “Content marketing’s too expensive. It takes too long and isn’t effective. It’s too tricky and isn’t essential anyway.” If you’ve found yourself thinking any of these before, silence those thoughts right away! Content marketing is cyclical in its processes. Building hype around your brand can result in sales, which can build your brand’s reputation through word-of-mouth recommendations and reviews, thus widening the playing field and allowing you to reach new audiences and future sales. The list goes on for days about why content marketing is so essential, but at its heart it’s a way of showing that you, as a business, know what you’re talking about. With clever and rich content that actually says something or imparts wisdom, you can persuade your target audience that you’re the number-one choice for them over your competitors (because why wouldn’t you be!?). It may not be an overnight success but with perseverance, you’ll see some smashing results in the long-term. Regardless of your business, there are a number of things that can help push your content marketing strategies on the path to success. One of the most important things is to get to grips with your target audience and your competitors, understanding them inside and out. This will illuminate the direction of your campaigns. Then you can start with the fun stuff: creating and distributing high-quality content. Brands that share great content regularly are more likely to reap the rewards of their content marketing strategies. According to Hubspot, businesses who blog report a thirteen-times-greater ROI than those that don’t. As of January this year, almost a third of the world’s population is active on social media channels, which is a crazy stat when you think about it! So, social media really is a necessary part of any content marketing strategy. Gone are the days when two blogs a week was sufficient. We as internet users are all guilty of demanding information from brands and craving content, so as a business it seems silly not to feed this hunger. Outlining a content calendar is the best way to give your content marketing strategy a sense of direction, and will easily help you pinpoint goals along the way. These goals should be complementary and realistic, giving a goal like sales more time to scale, while a goal such as engagement can be achieved much quicker. Think about the kinds of content that will appeal to your target audience and take things from there. Without the kind of content that your target audience is looking for, your brand has no audience. In order to build the initial hype for your brand and drive traffic to your website, you need to offer the kind of valuable content your audience is looking for on Google. You may not get sales straight away but your business will move forward in leaps and bounds, gaining online and social credibility, recognition, likeability, and most importantly trust. Now we’ve convinced you why content marketing is super important for success, it’s time to start your own content marketing journey. Develop your own house-style and follow our cheat sheet to make your content amazing.